CHUCKY. 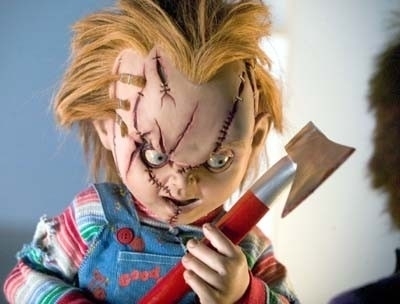 jlhfan624 influenced me to share some of my Chucky icones :) Hope toi like them.... Wallpaper and background images in the films d’horreur club tagged: horror films stills slashers chucky the killer doll tiffany glen child's play photos horror movies murder. This films d’horreur photo might contain couperet, couperet à viande, hachoir, couperet de viande, and cleaver.